Your website will likely create the first impression that most buyers have of your dealership—so obviously, you want to make that impression positive. One way to do that is to ensure that your dealership website offers real value. It shouldn’t just be an online placeholder; it should be a hub of information, helping consumers get a better sense of how you can help them, and why they should choose your dealership over the competition. But what are some of the ways in which your used car website can offer value? Here are five quick points to consider. Of course, one of the best ways to help your consumers is to allow them to do some of their shopping online, browsing through some of the vehicles you currently have on your lot or in your showroom. Even if you can’t list every single car on your lot, you can certainly highlight some of the ones you know will be popular, or the ones you’re most eager to sell. Of course, photos and full lists of features help! 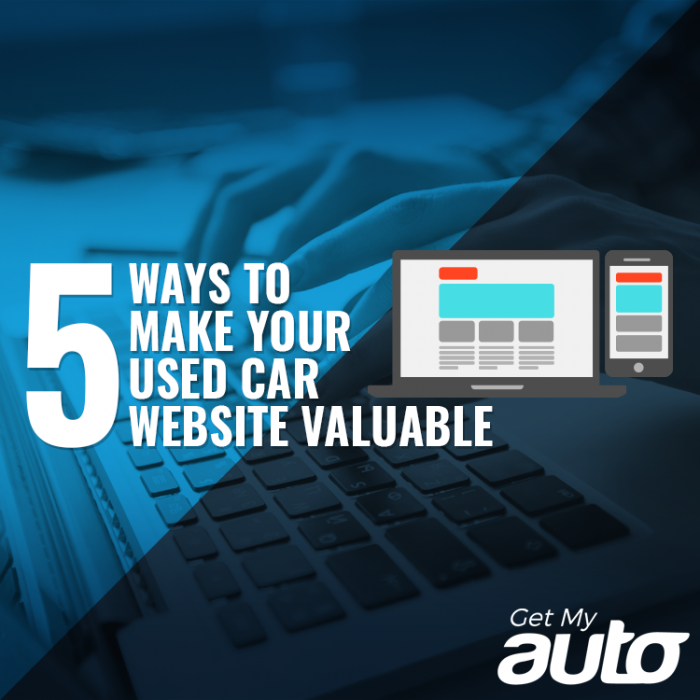 Another way to offer value through your website is to start a blog, and to offer your readers regular insights into the world of used cars. These posts should be informational, not overly salesy; consider topics like vehicle maintenance, vehicle financing, the pros and cons of hybrid cars, etc. Use your website to educate, and to demonstrate your own knowledge of the automotive world. Your dealership website should be a place where consumers can quickly find information about any current upcoming sales events. As an added bonus, you can create some promos or discounts that are exclusive for those who visit your site—allowing them to feel like their interest in your business has paid off. Another way to provide value is to make it easy for those who visit your site to contact your dealership. That means including your NAP information—name, address, and phone number—on every page of the website. 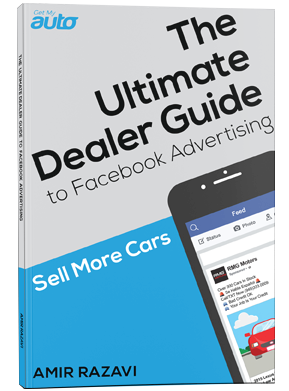 Finally, consider an FAQ page for your dealership—an easy way to address the common inquiries that your sales team receives. Not only does this further educate your buyers, but it makes it clear that you listen to them and want to help them; their inquiries don’t fall on deaf ears! Adding value to your website helps with SEO, it encourages social sharing, and it contributes to the prestige of your brand. As you consider ways to make your dealership website more valuable, reach out to Get My Auto and let us help you in designing a dealership site that truly gets results.